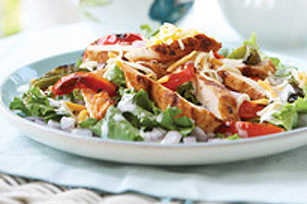 This tasty Chicken Fajita Salad is an easy chicken salad recipe you can make at home without waiting for a table at the restaurant. 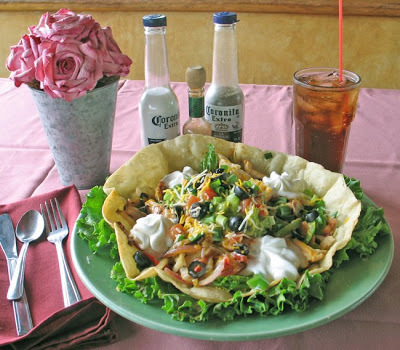 This is probably not an authentic Mexican recipe, more like Cal-Mex, but with the peppers, avocado and cilantro lime dressing, it certainly creates that ambiance. 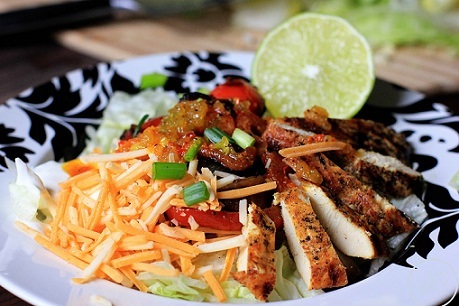 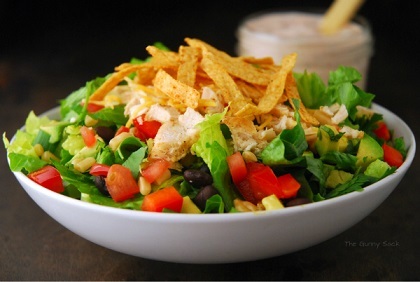 Enjoy your fajita chicken salad and cilantro lime dressing and the company of those you share them with!